Foodora take responsibility! 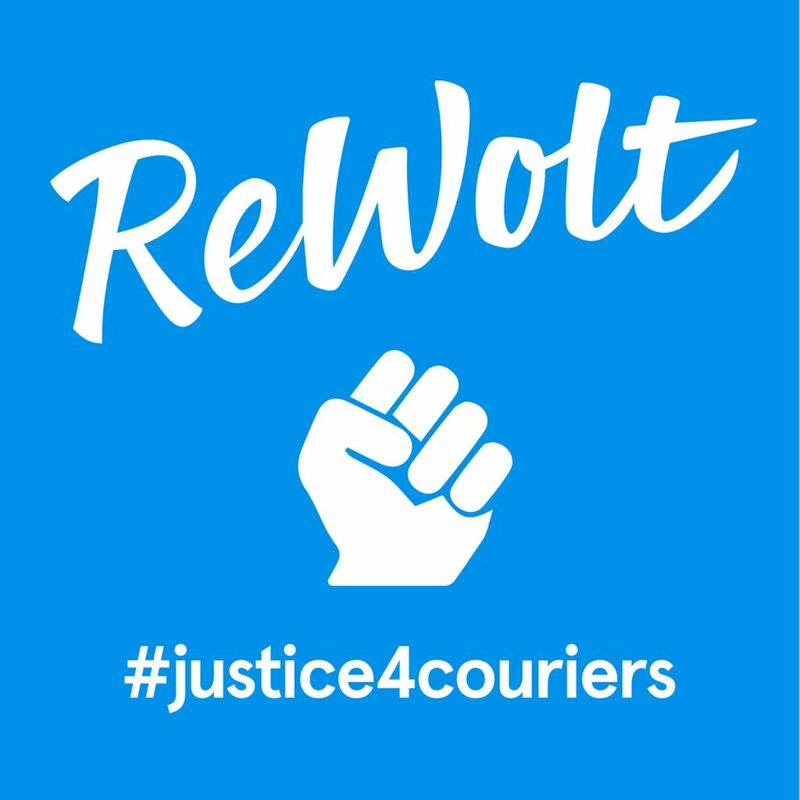 | Justice for Couriers! Author Archives: Foodora take responsibility! Posted on 2018/11/15 by Foodora take responsibility! Our campaign is expanding, because the problems of the platform economy are not restricted to Foodora. We have been contacted by Wolt couriers and the first of them have now joined our campaign. We welcome other Wolt couriers and drivers to join our campaign as well so that we can together work for better working conditions. As is with Foodora, many of the problems of the Wolt couriers are caused by them being excluded from employment and the minimal security that comes with it. We are now crafting our general demands with Wolt couriers to address the specific situation at Wolt and planning how to go about our campaign regarding Wolt. We encourage other Wolt couriers to join us in planning the demands and the campaign. In Australia and Spain food couriers have been recognized as employees as a result of their campaigning. It shows that we can change the terms and conditions of our work with collective action. Fake freelancing and forced entrepreneurship are not restricted to Foodora, or even to Foodora and Wolt, but they are a problem on many industries. So join our campaign, together we can solve the problem! Posted on 2018/10/23 by Foodora take responsibility! We are writing to let you know that we are disappointed we have not received a response to the 5 demands we issued in our previous correspondence on 6th September 2018 and are now considering how to move forward with our campaign. As campaign members, we feel the need to move the struggle to the next level and will call for a boycott of the company from 5th November 2018 onwards. A number of newspaper articles and publications in favour of the campaign are due for release in the coming weeks and we are gathering a significant audience for our materials. We believe the boycott will gain public support and have an adverse effect on the company’s trading. Furthermore, we would like to inform yourselves that we are in close collaboration with PAM union. We have held meetings with PAM representatives and their legal team to discuss all possible forms of action we can collectively take against the company for its treatment of ‘freelancer’ workers. 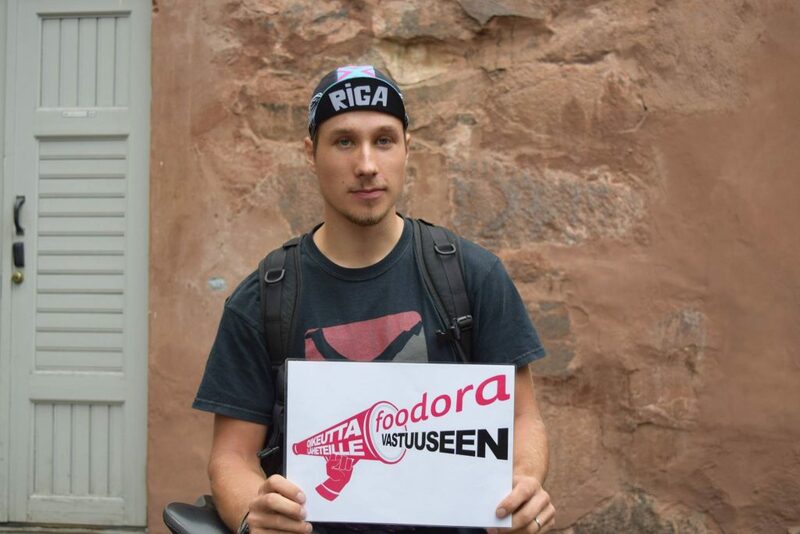 SAK representatives are also concerned about the working conditions of ‘freelance’ employees at Foodora Finland Oy and their lawyers have publicly commented that new legislation should be introduced to protect workers from ‘false freelancer’ contracts. We again send our request for a face-to-face meeting with representatives of the company to discuss our concerns. A number of current Foodora employees are actively involved in the campaign and can represent the organisation alongside an independent negotiator. We believe that successful negotiations between workers and the company will lead to improvements for all parties and ensure a successful future for the company in Finland. We strongly contend that a better cared for workforce will provide a more motivated and efficient service for the company. As winter fast approaches couriers are still left out on the streets with a cut to their pay, no communal space, no accident insurance and rapidly deteriorating weather conditions, we are genuinely concerned about the welfare of these couriers. Our goal is to enter in to discussions about working conditions with yourselves and, as you have been unresponsive to our previous emails, we feel we need to bring our campaign to the next level. Posted on 2018/10/15 by Foodora take responsibility! 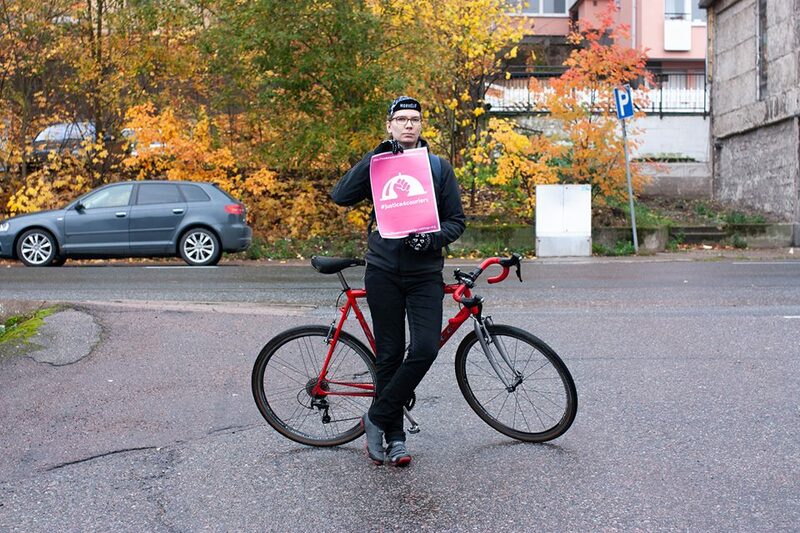 My name is Ibai and I worked for Foodora Finland for almost two years. My relationship with Foodora began as a Rider on late-2016 with a freelance-based agreement and in mid-2017 I became a Rider Captain with an employment contract up until I switched to another job at the end of last month. I want to start by expressing that I have a bittersweet taste towards the ongoing Foodora campaign. On one hand, it hurts me deep to realize how a company to which I am grateful and to which I only wish the best must be taking a hit with the campaign. 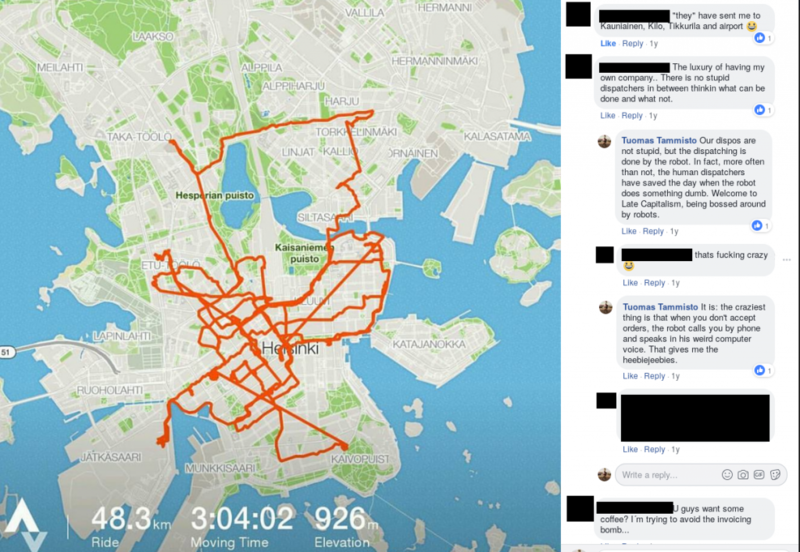 After all, It provided me a way to make a living by biking around, which is something I really like, and I made a few good Friends in the journey, many of which are still working in Foodora. On the other hand, I am very happy because the deteriorating working conditions of “false freelance” messengers are finally becoming a matter of public concern that will need to be addressed. Even though the working conditions of the freelance messengers have never been pink at the pink company, their progressive deterioration has been more than evident over the past years. Moreover, the recent payment model restructuration has decreased the salaries of the freelancers, leaving especially the car drivers on a precarious situation that goes beyond the limit of what is morally acceptable. Foodora Finland started running some couple of years before my involvement on the company. It all started as a locally managed start up with a Finnish CEO. All the messengers, which were named as Riders, had permanent employment contracts. These messengers enjoyed the working benefits bound by any employment contract, such as occupational insurance and health care, holiday- and sick leave-pay or double Sunday pay, as well as many other profession specific benefits such as km allowance, parking benefits, Rider Space with a Bike Maintenance Hub and Equipment Storage Facilities (including bikes, personal items an company equipment), bike and phone maintenance fees or a compensation model for other work specific equipment such as gloves, lights or winter tires. Foodora Finland was really pink back then, but it was not without fault: the blackhole of this business model was that the remuneration model of Riders was poorly designed. The Riders were exclusively paid on an hourly pay basis, without a delivery bonus that would incentive them to do the orders. This led to an uncommitted workforce that was unwilling to embrace the increasing amount of hourly orders of a company in expansion. The Finnish direction was therefore forced to change to a remuneration model that would incentive new messengers to do orders, and they chose a formula that combined an hourly rate with a delivery bonus. However, instead of changing the remuneration model only, they also chose to make another change; to switch from a regular employment contract to a freelance-based agreement. Therefore, a company that once started exclusively with employed messengers switched to offer freelance-based agreements to all the newcomers. This was a major move that can only be interpreted as the beginning of the end, since it opened the gate for further deteriorating working conditions on the unregulated far west market of employment relationships that are flag shipped by these false freelance agreements. This game-changing move was executed during times when Foodora Finland was starting to transition from a locally managed “cool&pink” startup to becoming part of a multinational corporation. Nevertheless, the Finnish management on an attempt of being loyal to their original code of offering a fair workforce, committed to maintain many past benefits such as the Rider Space with its Bike Maintenance Hub and Equipment Storage Facilities. Once the they got rid of the Finnish CEO the integration of Foodora Finland into the multinational corporation was complete. 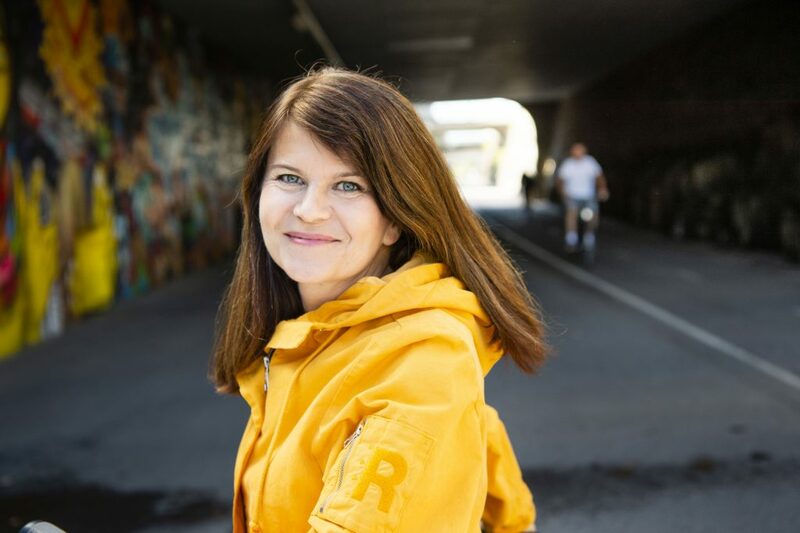 Decisions were no longer taken in the Headquarters of Helsinki, but Foodora Nordics personnel in Stockholm, who at the same time respond to orders coming from Berlin. At this point the deterioration of the working conditions really started to pick up. The employment contracts off all the Dispatchers in Finland were terminated first, outsourcing this workforce to Berlin. Later on, the few employee messengers of the company (Riders with original contract and Rider Captains) were forbidden to work on Sundays, a change that effectively meant a pay cut. They also started to gradually dismantle the Rider Space: they took away the Equipment Storage facilities first to later on remove the Rider Space with its Bike Maintenance Facilities, leaving the messengers without shelter on winter. Somewhere along the way they also deteriorated their shift allocation system by setting a maximum of 25h/week limit, introducing the Batch System, or making it more difficult to cancel or swap shifts. The flexibility that they always promised that the freelancers were legally entitled to was now severely compromised. They also changed their language to reflect that their messengers were no longer employees but “business partners”, starting to refer them as Delivery Partners instead of Riders. Nevertheless, the most severe and scariest cut to messengers’ working conditions is the last one. The freelance Delivery Partners were forced to sign a new agreement if they wanted to be able to take shifts in the future and the only thing that was changed of the previous agreement was the compensation model. Sadly, the compensation model was changed downwards. Bike riders were to get 20 cents more for every completed order, but their new hourly pay was one euro less for Monday to Saturday and a further one euro less on Sundays. Considering that the average order per hour in Finland is less than 2.5 orders/h, the math is pretty straightforward: Delivery Partners now get 0.5€ less on Monday to Saturday and 1.5€ less on Sundays. In what car drivers refer, their pay-cut has even been bigger. Even if their delivery bonus also increased by 20 cents and hourly pay was only decreased by one euro on Sundays, they removed the KM allowance and the parking benefits, which have a huge negative impact in their monthly income. The scariest part of it all is that there is nothing stopping Foodora to further deteriorate the working conditions of their freelance workforce. Tomorrow they could force their Delivery Partners to sign a new pay cutting agreement since there is nothing stopping them. Many of their freelancers are desperate to work at any cost since they perceive to have little chance to better employment elsewhere. Moreover, Foodora management seems to have little to no remorse every time they deteriorate the working conditions of their freelancers; they seem to have no humanity or empathy whatsoever but tons of indifference to “compensate”. Most importantly though, there is no collective agreement for this profession, neither there seems to be a jurisdiction stopping Foodora from offering freelance agreements to a workforce that on practice operates under conventional employment conditions and not as independent contractors as they claim. I want to finish by expressing that I wish and hope that the problem of deteriorating working conditions in Foodora will be addressed. I also want to show my willingness to help to try and find a solution as an independent agent that could play as an intermediary to help build bridges between the campaign members and the company management. Finally, I want the society and the decision makers to realize that that this is a problem that goes well beyond the pink company, a matter of legal deregulation that, if not addressed, companies will keep taking advantage since they are born to make money after all. Posted on 2018/10/11 by Foodora take responsibility! This automatic reminder to promptly start the riding shift was for me the most tangible reminder that couriers working for Foodora and similar “platform economy” companies work under the control of algorithms. While getting a call from a robot urging to start your shift is uncanny, the algorithms control the couriers’ work in more subtle, and more important, ways. Dispatching, namely the assignment of orders to couriers is done automatically at Foodora. Through the application that the couriers use to receive orders, the algorithm tracks the couriers’ location, average speed, how quickly the courier delivers the food and how much time they spend at the customer. Based on an unknown weighing of these factors, the algorithm assigns a specific order to a given courier. The dispatcher, who distributes orders, plays probably the single most important part in a courier’s job. The courier plans their own routes, but the dispatcher gives the orders, sets the pace and provides the information the courier needs to do their job. No matter how fast a courier rides or how well they navigate the city, if dispatching does not work, nothing works. Conversely, when dispatchers and couriers work well together and communicate with each other, they deliver orders quickly and efficiently. 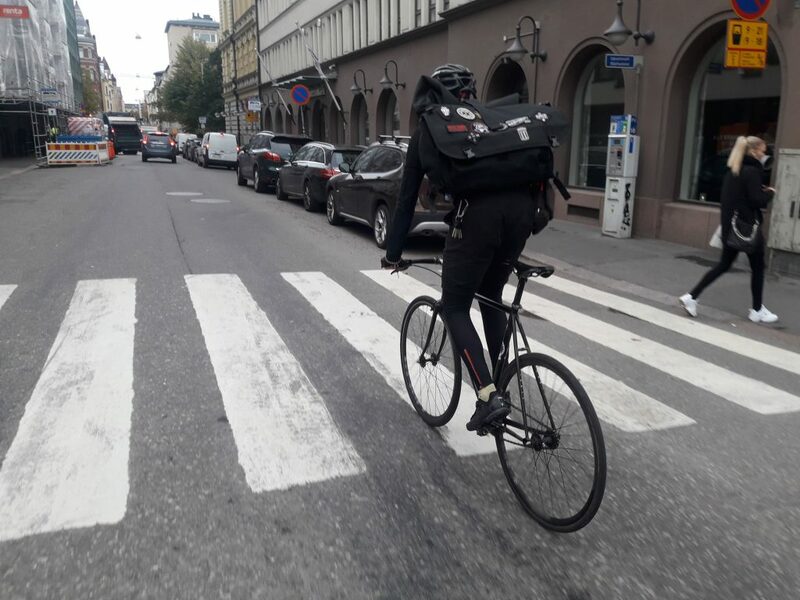 When the dispatcher is a courier themselves, this cooperation usually works best, because the dispatcher knows what can be expected from a cyclist, how the weather, the load and distance affects the courier. Foodora has human dispatchers, who oversee couriers in a given city. However, in the working process designed by Foodora, human dispatchers ideally don’t interact with couriers, who should get their orders automatically. Presumably as a cost-saving measure, Foodora centralized its dispatching to Berlin and the dispatchers overseeing say Helsinki know nothing about the city. Thus the dispatchers are not able to help couriers in problem cases and sometimes the results are just plain bizarre, for example when by mistake an order has registered to a restaurant that is in fact closed and the courier tries to tell disbelieving dispatchers in Berlin that the cannot pick it up, because… well, the restaurant is closed. The biggest problem however is one of transparency. The provisions paid for the order form a substantial part of the couriers’ income at Foodora, and because of this, those who get more orders earn more. The courier however does not know how and why the algorithm distributes the orders to one courier instead of another. Apparently, the algorithm distributes orders to couriers it deems “effective”. I have seen a situation when a fast courier came exhausted with less than ten minutes of their shift remaining to the office where couriers, who had just started their shifts sat waiting for orders. Then a new order came and algorithm assigned it to the fast courier. Why, nobody knows, but in Foodora’s automatic system, re-dispatching is not done. Similarly, the algorithm classes Foodora’s couriers into four “batches”, or groups, based on their performance (as judged by the algorithm). Shifts are made available in steps to these batches so that the first batch, with the “best” couriers, get first pick from all the shifts, then the next and those in the last batch pick any shifts that might be left. How a courier gets shifts obviously directly affects their income. If one can do only a limited amount of hours, one also earns less. Along with this direct effect, how much and how well one works affects also one’s position in the “batch” and the possibility to get shifts in the future. In short, the algorithms directly control the couriers’ work and their income, but in ways the courier can only guess. Even if the courier was adept in reading the code and reverse-engineering the applications, the systems are proprietary and not made known to the courier. Automatic dispatching may be well-grounded in a situation with many couriers, constantly incoming and fast-paced orders. Algorithms, like any technologies, have particular affordances that may encourage particular types practices, but they do not determine them. On the contrary, the algorithms do what they are designed to and within social relations of production that are formed based on human decisions. When non-transparent algorithms are combined with hierarchical and unequal forms of labor as now in the “platform economy”, workers are adversely affected. Similarly, when decisions directly affecting the worker are automated, the actual hierarchy within the workplace is obfuscated and unequal power relations are masked as technical properties of the applications. This needs however not to be so. Instead of making workers compete with one another over shifts and orders, the applications could be designed to enable greater co-operation between couriers themselves and between couriers and dispatchers. Instead of masking unequal power relations within the companies, the applications, like any other tools, could be designed to foster truly equal forms of labor. We have to change not the applications, but the social relations behind them. And that is what couriers throughout Europe are now doing and we hope precarious workers in other sectors will join us. Posted on 2018/10/09 by Foodora take responsibility! Today on the 9th of October, or 10–9 in the North American way of numbering dates, is the Messenger Appreciation Day. The celebration has its roots in the US: in 1991 San Francisco proclaimed the day to be in honor of messengers after the 10–9 radio code meaning “Say again” or “What”. Since then, other cities in the US and Canada have joined San Francisco in appreciating its bike messengers. In Finland, Messenger Appreciation Day is known mainly amongst the couriers, who celebrate it in various ways within the messenger scene. Today, on Messenger Appreciation Day, we want to show our appreciation to all the messengers, especially those riding today in the rain. More so, we want to point out that messengers, like other workers, need appreciation—not abstract thanks and lip service, but concrete valuation in the form of decent pay and working conditions. Foodora couriers are not demanding the bare minimum of decent working conditions. Foodora, show that you really appreciate your messengers by starting negotiations and addressing the demands. Posted on 2018/10/03 by Foodora take responsibility! I did my first shift for Foodora in December 2017. I had just started studying again and needed to find work that I could do while studying. After a “test ride” with another rider I was employed and did my first shift a few weeks later. The fact that there really wasn’t any kind of help offered for the riders surpised me. No place to change clothes, fix your bike or eat something. I did quite a lot of shifts during the winter and had to get suitable clothes and better tyres for my bike. Foodora provides you with jackets and shirts, but the rest you have to get yourself. Foodora doesn’t collaborate with any bikeshop or help you with your bike maintance. What this means is that if you don’t have the gear and clothes for riding in the winter, you need to do quite many shifts in order to cover these costs. Foodora doesn’t provide you with any insurance, they only recommend that you have your own insurance. Most insurance companies provide you with a quite affordable accident insurance, not many of them cover injuries that come from wear and tear. Riding a bike for many hours a day, in cold weather and with a heavy backpack is hard on your neck and back. I hurt my neck during the winter and had to take a break from taking shifts. You book your shifts on a weekly basis and the system puts you in different groups called “batches” based on how actively you have been working. If you work a lot, you get access to the shifts earlier, if you haven’t been working much you get access to them later. If you are in the later batches there aren’t usually that many shifts left. So basically, in order to get work, you need to work. After I hadn’t worked for a while it was nearly impossible to get shifts. The only way to get shifts is to constantly check if somebody has given up their shift and then take that, at which point we are a long way from the type of flexibility Foodora promises their riders. Foodora sees their employees as “freelancers” and the company acquits itself of any responsibility of their workers wellbeing. The riders and car drives operate under the kind of working conditions that absolutely should be considered as employment and they should have better rights. Instead of making the working conditions better Foodora seems to only make them worse. I’m fortunate enough to have other another job, and I wont be returning to Foodora before the working conditions are made better. Since all of us don’t have the same possibility, I sincerely hope that Foodora will take more responsibility for their workers and give them the rights that they deserve. 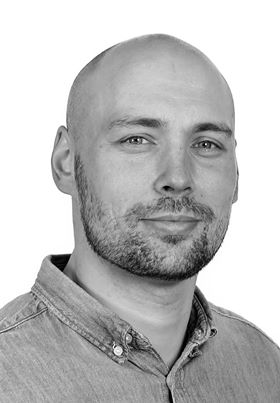 Per is a 34 years old dramaturgy student at the Theatre Academy at the University of the Arts. Posted on 2018/09/25 by Foodora take responsibility! The Greens have been addressing changes of working life and the increase of irregular work over recent years. For many people today, part-time work has become a part of everyday life. Full-time and continuous work is not available to many, who instead have to gain their income by working several jobs at once. Self-employment and gig jobs will also increase in the future. However, this should not mean that working conditions and workers’ income can be subjected to cuts like those made now. The problems brought up by the change of work need to be addressed and responsible entrepreneurship needs to be supported! The position of Foodora couriers has been weakened. Many couriers have few income possibilities and the position to negotiate with the employer is non-existent. The platform economy needs to provide working conditions that secure the rights of couriers. Because of this I support the Foodora Take Responsibility campaign, in which couriers are fighting for fair working conditions. Translated by Marcus Nicolson & Tuomas Tammisto from Finnish. Posted on 2018/09/21 by Foodora take responsibility! You can support Foodora’s couriers and car drivers campaigning for better working conditions by posting a support photo online. Posted on 2018/09/17 by Foodora take responsibility! 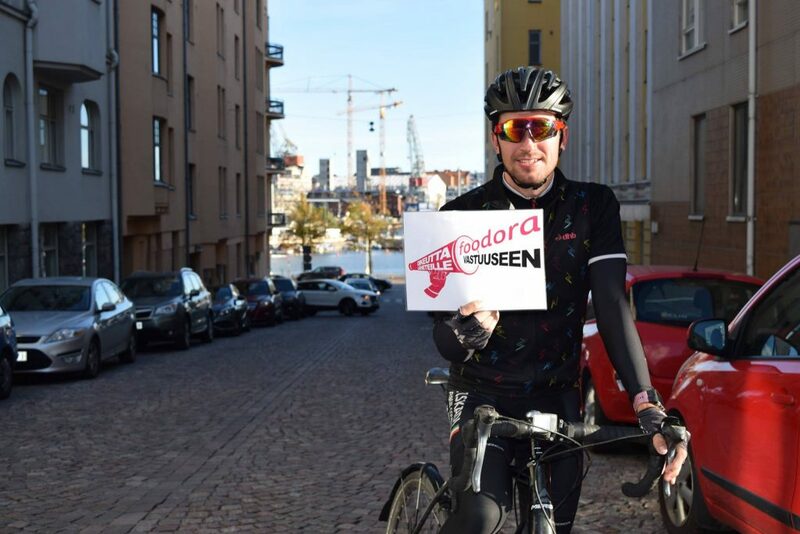 My name is Henri Siira, current Rider Captain at Foodora, and I support this campaign. Taking a stand is easy when one’s labor rights are guaranteed by the scope of national law. That is not the case for those affected by Foodora’s recent policies. Starting out as a freelancer, I’ve known the other side of the fence, and the work I do now as a courier is for all intents and purposes indistinguishable from the work I did back then. I want to give my voice to all the couriers caught trying to survive in this wild west of work that is the so-called platform economy – an industry that has weaponized semantics, thus managing to roll back one hundred years of struggles for fair labor rights in favor of unchecked exploitation of the human as a factor of production. During the two years I’ve been with Foodora I’ve witnessed both good times and bad – the former preceding the latter. When I started in 2016 the good times were pretty good; a warm and collaborative atmosphere at the office, amplified by caring fleet managers who’d engage you in conversation; riders coming in whenever during their shifts to warm up, use the toilet or eat some food; sometimes a bowl of fruit or a pack of biscuits on the rider space table, all provided by the company, as to say “you are important to us, we care about you”. The subsequent bad has in turn been pretty bad. This last year has seen systematic and serious degradation of working conditions especially for delivery partners, starting with outsourcing the dispatching to Germany, discontinuing the rider space with all its essential functions, automating and cutting resources from the communication between management and riders, and most recently culminating in a de facto dictated pay cut across the board. The official line is that the company still cares for its riders, but actions suggest otherwise. Or at a minimum, other, more excel sheet economic, factors take way more priority. I think working conditions shouldn’t be a derivative of the benevolence or rapaciousness of a company, as is the case of my experience with the ‘two faces’ of Foodora. I think this is what labor laws were established for in the first place. I think it’s a travesty that this type of grey zone labor has been slipped through the cracks of the finnish legal so-called-safety net, and is still allowed to persist.